Now that we are three weeks into the new year you can kind of tell that some people are falling off track. The inspirational Instagram stories aren’t as frequent. The gym isn’t quite as crowded. The grocery store healthy aisles aren’t as busy. But fear not I am here to help! 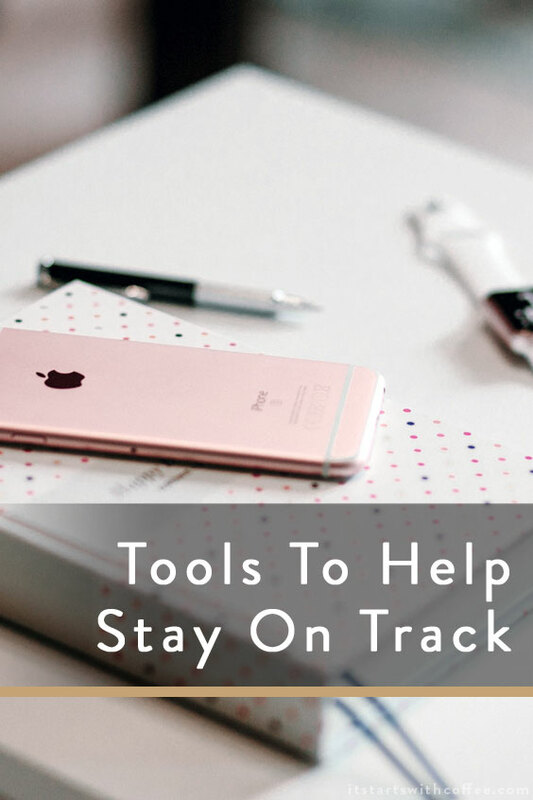 We all want to stay on track so I want to share tools to help stay on track that I use personally that may just help you stay on track with your goals too! Apps: I use quite a few apps for different things. I use my Fitbit app to track steps, workouts, and sleep. I also track my water consumption when I am trying to drink more water. I use an app called iTrackBites to track my food. I use super habit for things I want to do daily. My 6 habits are (track food, meditate, 10k steps, do a 1 second a day video, workout, and read for 30 minutes). It’s a really great app if there are things you want to do daily or even a few times a week. I also use an app called To Do List + for my daily to do list. Plus pretty much every Google app there is: Calendar, Docs, Sheets, Keep, etc. 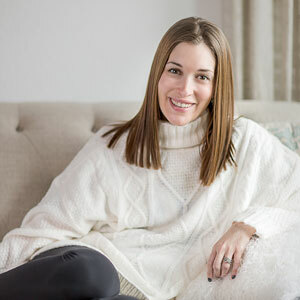 If you are trying to stay on track with spending, I love Mint but we personally use Google Sheets to track our joint finances. Planners: I use a Day Designer planner. Even though I use a Google Calendar too I still LOVE a paper planner! There is a cheaper Day Designer version at Target too! Whatever planner you use just make sure it’s one that fits your specific needs. I have also used Simplified Planners which I love as well. Accountability: This can be an accountability partner you workout with, or your significant other etc. Andrew and I try to keep each other accountable with steps by challenging each other on Fitbit challenges and we also try to be considerate of the other persons health goals by eating the same things. Accountability is truly key for me. I also post about my monthly goals which really helps. Having the goals posted for all to see really helps me stick to them. Reminders: Sometimes we need reminders to do even the simplest of things. I am not used to taking any medicine at night, so to remind myself I have our Alexa alert me at 8 PM. That way I am taking the medicine at the exact right time. I would love to know how you are staying on track this year. Do you use apps, certain things daily. Please share them below! Oh my gosh yass!! I have a hard time staying on track not with workouts but like with cleaning and being better with kids but my laziness gets the best of me towards the end of the Monday the first of the year. Wonderful ideas! I keep a detailed calendar on my phone and set multiple reminder alerts so I do not forget about any important meetings or events. I use my apple watch to track my steps, too! I also have sleepwatch which connect with the watch to track my sleeping habits. I haven’t found a food tracker app I like, so I’ll have to try out itrackbites and see if it works for me. My husband and I have a shared google calendar that we plan our entire life on. It has everything from my blog posts to the boys school and who is getting them to and from, meetings, cub scouts, and our meal plan! I use Fitbit and am a big fan of Google Calendar! Never thought I’d be able to get rid of my paper planner. I think I’ll try Super Habit! I have yet to take advantage of the many functions of my phone but I think it’s time I use a few apps to help me achieve my goals. Thank you for the suggestions, especially the ones related to exercise accountability! Looking forward to a healthy year! Nothing fancy for us…my spouse and I just act as accountability partners. We motivate each other. Like these tips. for me I keep Reminder in my smartphones to not forget everything and it save me a lot when I forget something especially if it’s important appointment great post!. I think I am still on track with my goals. But I totally see people falling off already. My day planner is something I check daily and definitely helps me stay on track! Huge fan of Google Calendar as well. As far as my fitness goals go, accountability partners work really well! Great ideas! I just got into planners. I have always loved the concept of them for planning but never used one. Now I love it and need it daily! A use the Bullet Journal system myself, it can be used as a very basic planner, or adapted to specific needs in your life. I’ve been using it for over two years, and it’s helped me plan vacations, blog posts, book releases and more. I use apps for everything. I have a planner and then I have a planner app. I also use a budgeting app and a grocery app. On top of working everything down, I use reminders as well. I love my Apple Watch! It motivates me throughout the day. I also use a planner and have a section just for my fitness goals and tracking. It helps so much! I really do not use my phone as much as I could to help meet my goals. These suggestions are all great! All of this just reminds me that I need to get myself a planner this year and work out what I am going to be doing and use it more frequently. When I use it, things work well. When I don’t, things spiral. These are all great tools for sure.